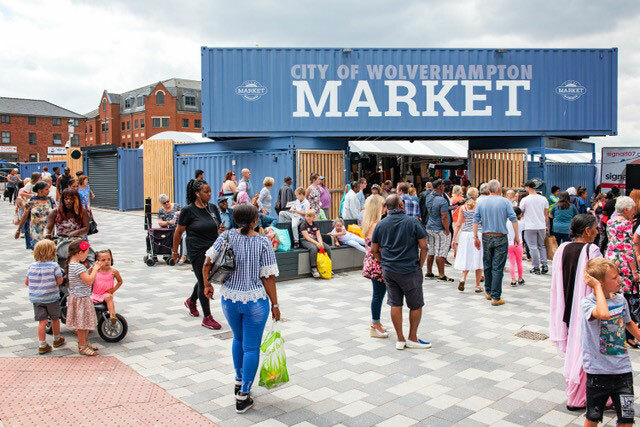 "Relocation and revitalization of Wolverhampton's outdoor market"
The success of the market was defined by design, location and marketing. 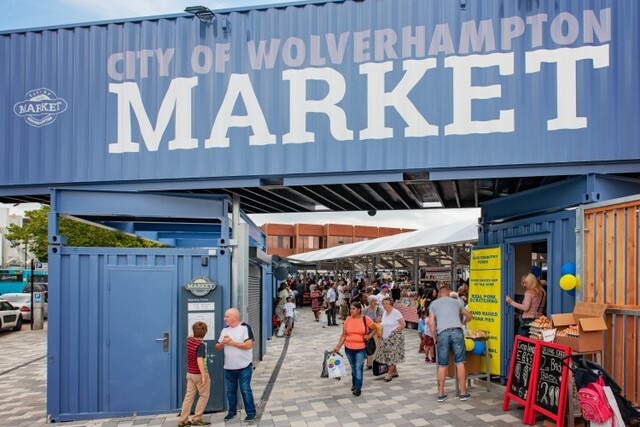 By moving the market to a more prominent spot in the town centre, adjacent to the retail core, good public transport links and access to parking, improved public realm, lighting, branding and identity; it has brought new life to the town centre on market days. 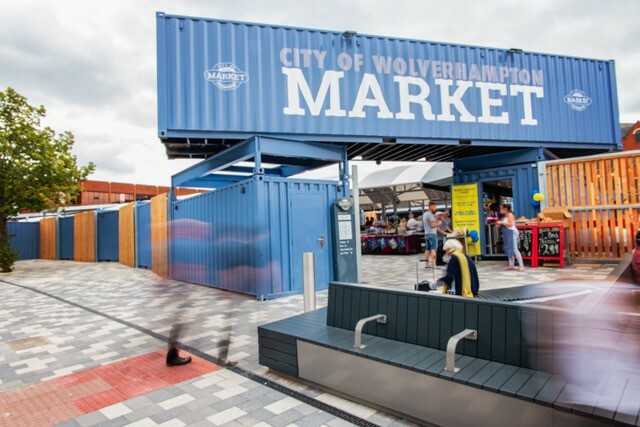 Wolverhampton shows what good investment can do to improve the appreciation of the market. 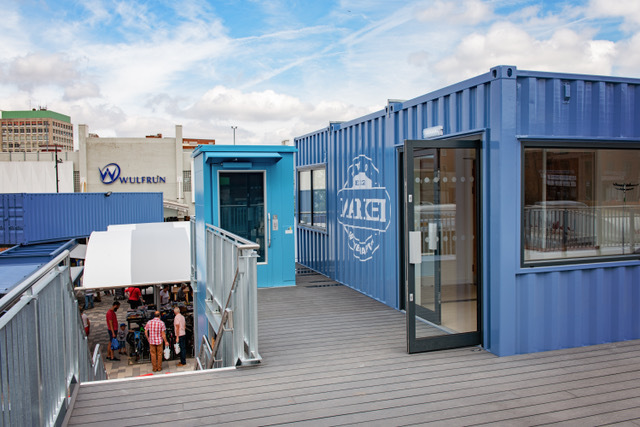 Lessons learnt include better engagement with the type of traders you can get in – the lift and shift of all the traders has limited the potential, rather than going through a re-tendering exercise. Nevertheless, the traders are telling us that business is up significantly while vacancies are well down. 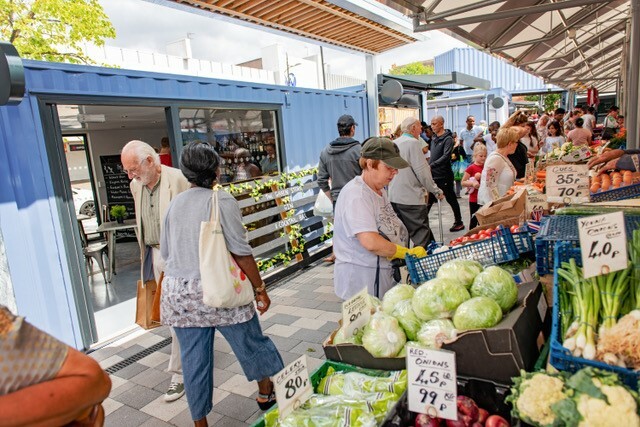 Success is the blend of temporary and permanent – RAG market Tuesdays for instance – it would be important to promote this variety of tenure in the project. 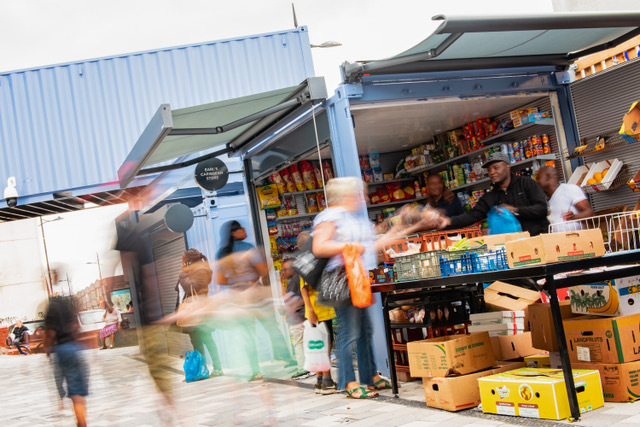 We designed the market canopies to provide shelter for the customer, something missing from the previous design. We designed the scheme so that if it was a success, the market would have the capacity to grow. Since WCC asked us to develop initial proposals for Phase 2, which would see the more evening economy units being provided. "Visual connections between the new public realm, heritage assets and the outdoor market"